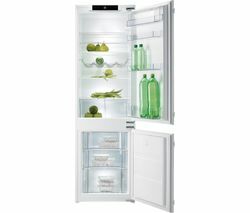 If you’re after a fridge freezer with a difference, consider a Gorenje fridge freezer from Currys. These retro appliances feature luxurious and tasteful styling, and are available in a range of attractive colours including black, cream and burgundy. Bring elegance and chic to your kitchen with Art Deco-inspired lines, classic metal handles and reassuringly solid construction. 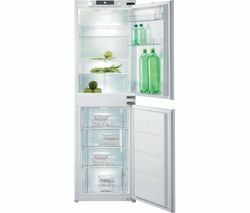 Gorenje fridge freezers offer great storage space, and at Currys there are different fridges and various freezer configurations available if you need to store either more fresh or more frozen food. Super Cool and Fast Freeze technology allows you to chill and freeze new groceries faster, and handy fridge features like wine and bottle racks help organise the interior space for refined convenience. An energy efficiency rating of A++ makes a Gorenje fridge freezer from Currys an economical appliance with premium style and features.